The Four Seasons residence club features a classic Mission design in a modern coastal setting. 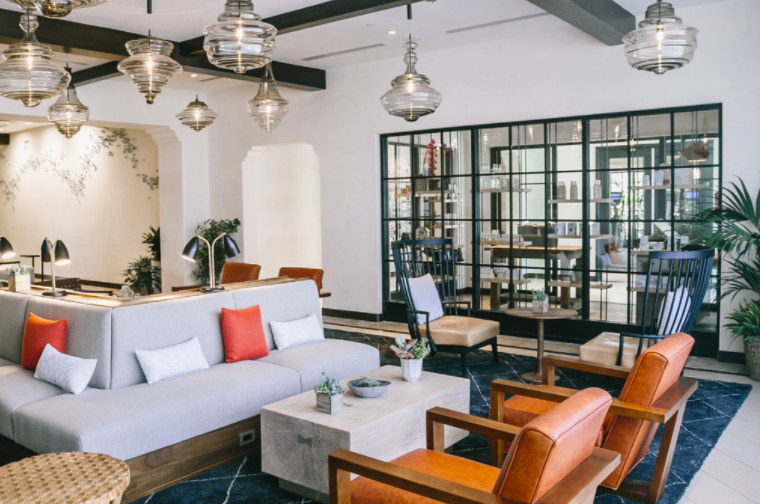 Redesign of the lobby & reception lounge were included in the luxury resort renovation, with new spa, barista counter, and restaurant + bar design. The restaurant includes indoor and outdoor seating, Chef's Table and Kitchen Counter dining experience. A beautiful private dining room offers a relaxed Mission villa dining experience for meetings & events. Details include: exposed faux beams, plaster walls, Spanish style and bold geometric tiles, with a refined and casual aesthetic.